a . 100% natural Bamboo material. b . Size can be made 70/80/105/120/150/180/200mm, also accept customization. c . Red/black/natural color are available. e . The bamboo stick passed FSC certificate and have FDA testing report. 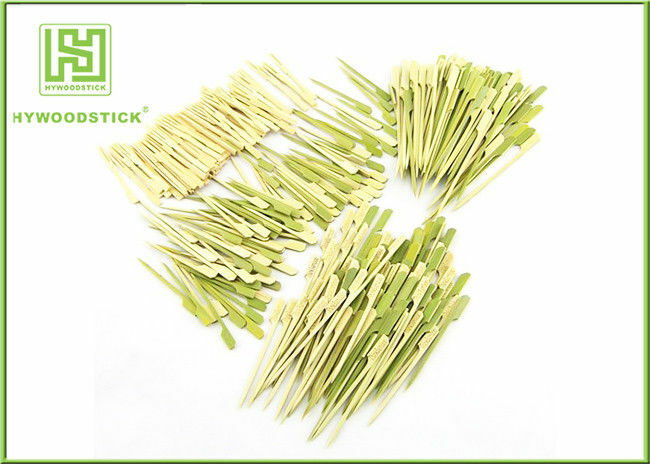 The bamboo stick widely used for BBQ, fruit, food. Very easy to pick up the goods, clean and convenient.